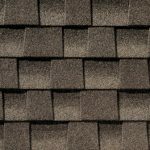 Royal Sovereign® Shingles is the most beautiful strip shingles you can install. 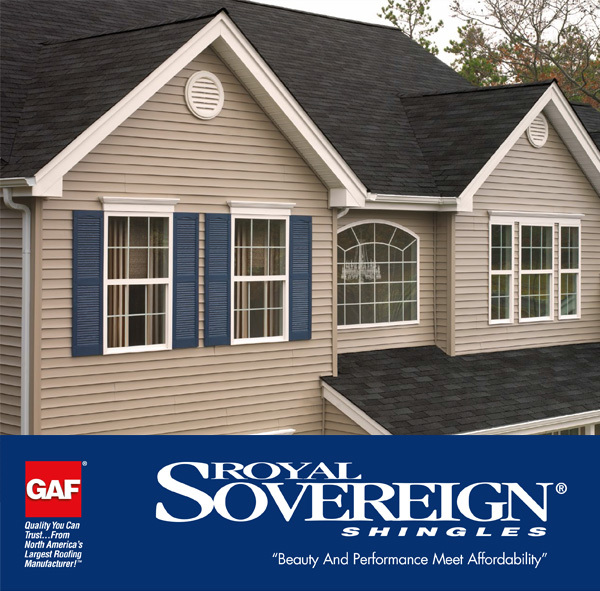 Royal Sovereign® shingles are made with an advanced color sequencing technology, creating a rich and vivid design. 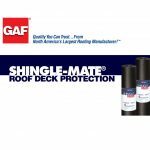 ~StainGuard® Protection….Helps ensure the beauty of your roof against unsightly blue-green algae. 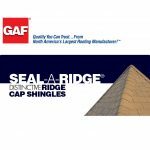 Timberline® HD – North America’s #1-selling shingle. 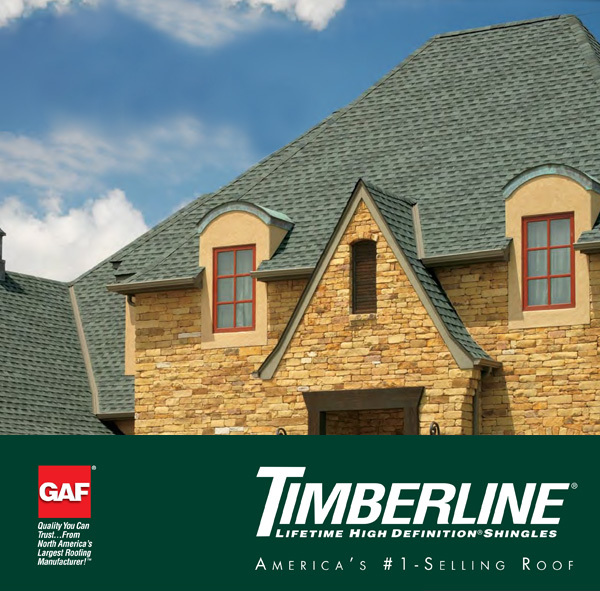 More homeowners choose Timberline® HD™ Shingles than any other brand. 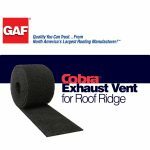 They offer just the right combination of beauty, performance, and reliability….and are the best value in roofing today. 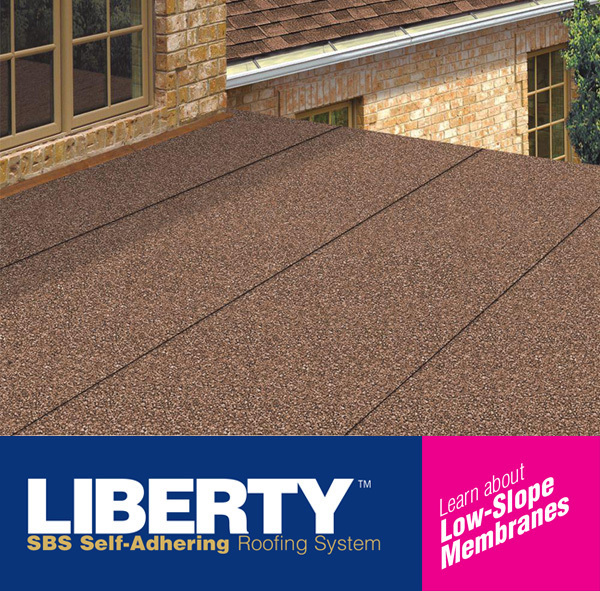 Liberty SBS Self-Adhering Roofing System will provide long-lasting protection for the low-slope areas of your property without the danger or hassles associated with the installation of other conventional roofing products. 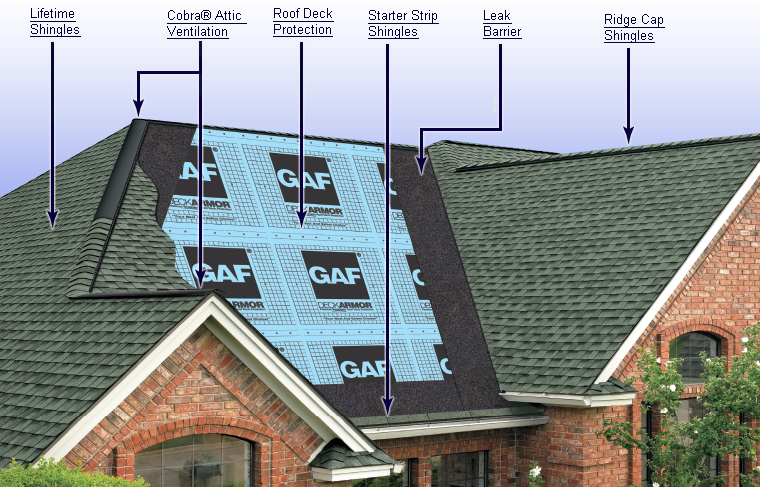 Install Any GAF Lifetime Shingle & At Least 3 Qualifying GAF Accessories & You’ll Automatically Get: A Lifetime ltd. warranty on your shingles and all qualifying GAF accessories! 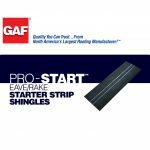 * PLUS Non-prorated coverage for the first 10 years! 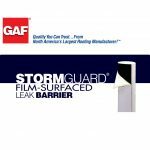 * To get even stronger coverage, choose a System Plus or Golden Pledge® Ltd. Warranty from a GAF factory-certified contractor!